Open/Close Menu Help me & let me help you. The Apprentice of Peace Youth Council Sign Up Applications are being accepted through February 18th! Announcement Selection – February 25th! 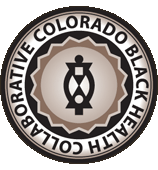 The mission of the Colorado Black Health Collaborative is to achieve health equity in Colorado’s Black community. CBHC is supported by our community. See how you can help.